Fortune's Most Powerful Women Summit wrapped up Wednesday in Washington, where some 450 executives ranging from General Motors CEO Mary Barra to Gates Foundation CEO Susan Desmond-Hellmann came together to swap stories, ideas and secrets about their careers, their industries and their lives. 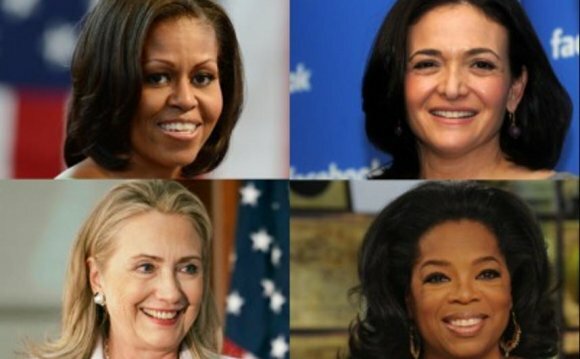 Of course, they also shared advice to the women in attendance about lessons they learned along the way about getting ahead, taking advantage of opportunities and leading others. Sometimes, it's good to put on blinders. Carolyn Tastad, North America group president for Procter & Gamble, said that every time she's been promoted, she's "been personally surprised." But she noted that when she presents new opportunities to other women, they often focus on the many tradeoffs, looking at all the reasons why they should and shouldn't take it. They say things like: "I'm not sure now's the right time, I'm not sure I'm ready, " she said. "And yet I can talk to men in the same situation, and men are like 'yes, I'm going for that.' "
She said she tells women "I just need you to put on the blinders for one minute" and focus on the opportunity itself, rather than everything they'd have to give up or change. "There are so many other things you have to consider, but there are solutions, " she said. "Every now and then you don't get to the solution because it looks too daunting. Just pull it in. I do think women look across first, and men don't." Recognize your employees' spouses when your team puts in long hours. Carolyn Everson, Facebook's vice president of global marketing solutions, told attendees one of the best things she's done to boost her relationship with her team actually wasn't her idea. At a time when her team was working "insane" hours, she found a way to thank their families at the holidays. She bought gifts for all the spouses of her team members, and wrote them letters herself. "I wish I could say it was my idea, " Everson said. "But it was my husband's." Leaders should be a "thermostat, " adjusting the temperature in the room. Everson also shared that someone once told her to "think of herself as a thermostat" when she walks into a room. As the leader of a team, you might have to turn the temperature up, getting people energized and focused on a goal, or you may have to turn it down. It was an analogy she'd shared before, but a smart insight on how different situations call for different leadership and communication styles. If you want to grow, get comfortable with discomfort. In the fall of 2011, shortly before Ginni Rometty became chief executive of IBM, she sat on the stage of the Fortune Most Powerful Women Summit and shared her own experience that career growth is never comfortable. Four years later, she echoed the same words to a new audience of women at the summit, even though she is now leading one of the world's largest companies. "When did you ever learn the most in life?" Rometty said. "I guarantee it's a time you felt most at risk." Rometty, 58, first joined IBM in 1981 and about three decades later became the first woman to lead the company. The CEO—who chatted about the Dell-EMC merger, the importance of transformation and reinvention, and IBM's "moonshot" into health care—said her advice to women was to "be comfortable with the fact that growth and comfort don't co-exist." Be vulnerable, sharing your personal life or your weaknesses with your team. Others didn't explicitly articulate the same advice, but they showed it. U.S. Permanent Representative to the United Nations Samantha Power had the audience in stitches over her fears about a coming presentation she was going to have to give to her six-year-old son's class. The same woman who's spoken on behalf of the United States in front of the U.N. Security Council called the upcoming school speech "totally traumatic." She described a staff meeting with her team, where they brainstormed how they could convey the work of global diplomacy to first graders. Thinking of her own son's familiarity with aspects of her job, she suggested she'd start by sharing a "good news" story about the success in fighting Ebola. "My staff was like, what are you talking about?" Power recalled, noting their concern over talking to young children about a disease that killed thousands of people. "We're going to have a huddle tomorrow about what the contents of that speech are going to be, because I'm clearly not reliable for that audience."